Milky Way on Papuma Peak Jember. Milky Way in the Indonesian language called Bimasakti that has 200-400 billion stars with 100 thousand diameter light years and 1000 light years thickness. Inside this galaxy, it looks like a glowing fog band in the sky. This fog band contains billions of stars radiating from the smallest. This Milky Way ray can be seen in the southern hemisphere. Tanjung Papuma Beach is one of the best place to shoot the Milky Way picture. This beach consist of high peak normally used as the place wherein visitors will find the Galaxy phenomena. Tanjung Papuma beach located about 40 kilometers from the Jember downtow, The view from Papuma Peak not only beautiful at dusk but also all night that able creat amazing Milky Way. most photographers also preferred choose to shoot Milky Way on Papuma because it has quiet place and still have not crowd people. 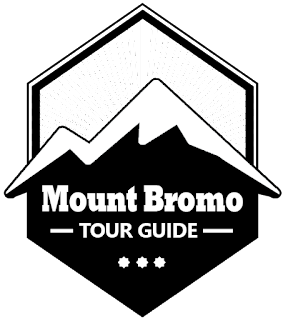 The place to see Milky Way on Papuma Jember is different then the place to take Mount Bromo Milky Way, Papuma Beach provide a high peak that surrounded by massive southern sea or usually said laut kidul. To reach the peak, the visitors only need 15 minutes climb from the parking lot through the stairs. If You want to enjoy the Milky Way at Papuma Peak, You must stay in Hotel around Jember City then start the trip at 10.00 PM. Tanjung Papuma Beach Jember is one of the nature tourism in East Java, Indonesia. This beach can reached from Surabaya Airport or Malang, The nearest way is from Banyuwangi regency. Most visitors normally enjoy the Milky Way on Papuma Beach when they have finish enjoy Ijen Crater tour because the trip from Ijen Crater Banyuwangi only 3 hours by Car. Some of them visited Papuma beach after finish Milky Way on Mount Bromo to know various place from different peak. 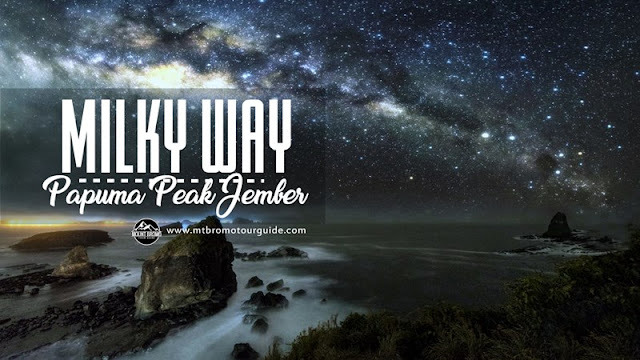 Milky Way on Papuma Peak Jember mostly requested by visitors who prefer like the Milky Way and Nature Photography, If You need to try other peaks for Milky Way shoot, You can try on Milky Way on Mount Bromo that consist of various peaks.